84yo Leen (known as Lenny to his mates) near Glenelg in Adelaide during a recent 75km ride. The group will be riding the Clare Classic Gran Fondo event on April 8. Image: Nat Bromhead. Introducing 84yo Leen Nieuwenhoven from the Veterans & Ladies Cycling Club in Adelaide. 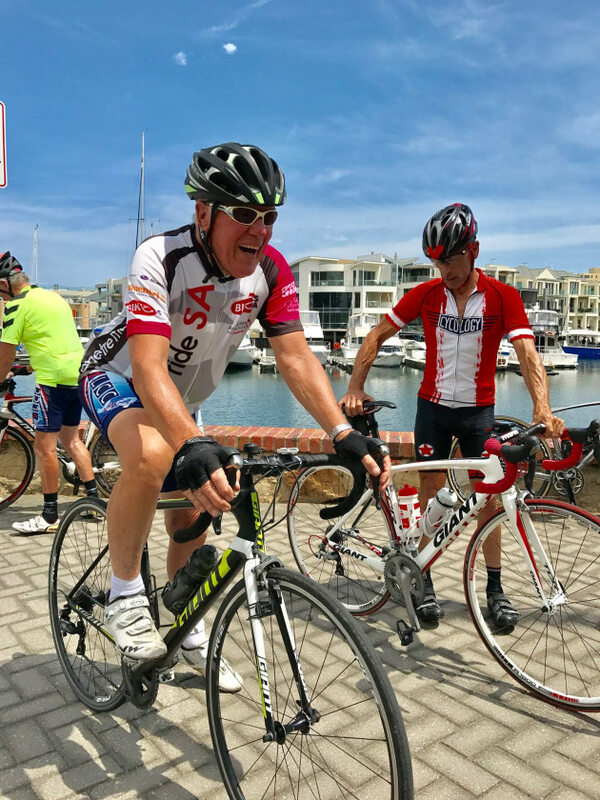 With each and every pedal stroke Leen denies the naysayers and proves that age is just a number - he averages 300km a week with his close friends and regular riding buddies. "I ride 4 days a week," says Leen who was born in Amsterdam in 1933. "I go Tuesday, Wednesday, Thursday and Saturday and ride 300km per week." Bicycling Australia recently joined Leen and his mates on a 75km morning bunch ride along Adelaide's coastline. No slouches, these guys ride hard and clearly love their sport. Enjoy the video and ride on Leen! Leen and his group will be riding the Clare Classic, an exciting Gran Fondo event in the Clare Valley on April 8. We look forward to seeing them there!